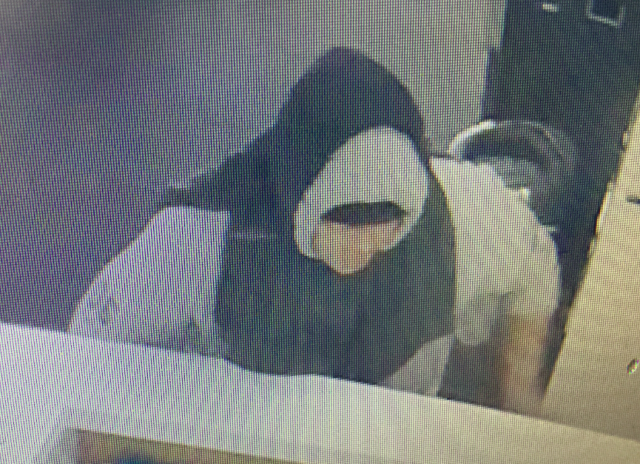 Tauranga Police is investigating the aggravated robbery of a Bethlehem store which occurred yesterday afternoon. 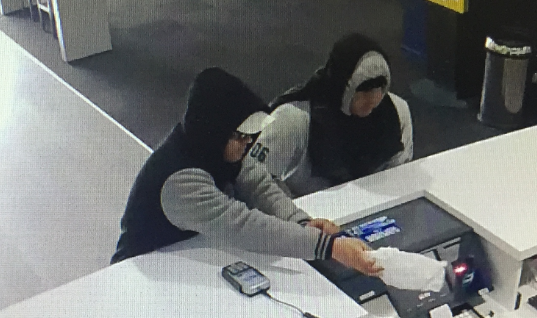 At approximately 1.20 pm on Friday 6 October, 2017, two men entered the TAB store at the Bethlehem Shops on State Highway 2, Tauranga. The offenders, believed to be in possession of a firearm, robbed the staff of a small amount of cash. They fled in a white-coloured 1993 Nissan Sentra, registration number SB330. They stole the car from the front of the store and it is yet to be located. No one was injured during the incident but those at the scene were left traumatised and are receiving support. 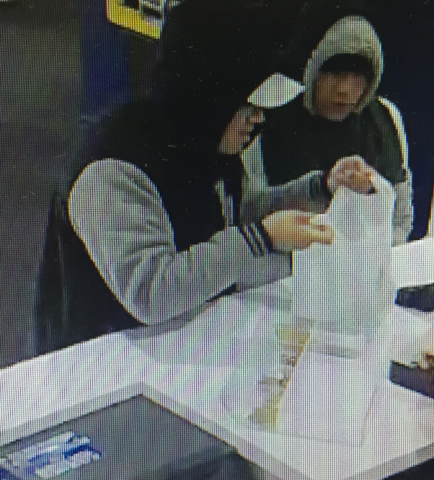 Tauranga Police would like to speak to anyone who may be able to identify the two men in the attached images. The offenders were in their late twenties or early thirties. At the time of the incident, one was wearing light-coloured shorts and sports shoes, with a light-coloured peaked cap under a black and grey hoodie. The second offender was wearing dark trousers and gumboots, with a grey hoodie. He also had a dark jersey tied over his shoulders and head. As well as seeking any information on the men in the photos, Police would also like to hear of any sightings of the stolen Nissan Sentra. Tauranga Police Station can be reached on 07 577 4300. Information may also be provided anonymously to Crimestopppers on 0800 555 111.